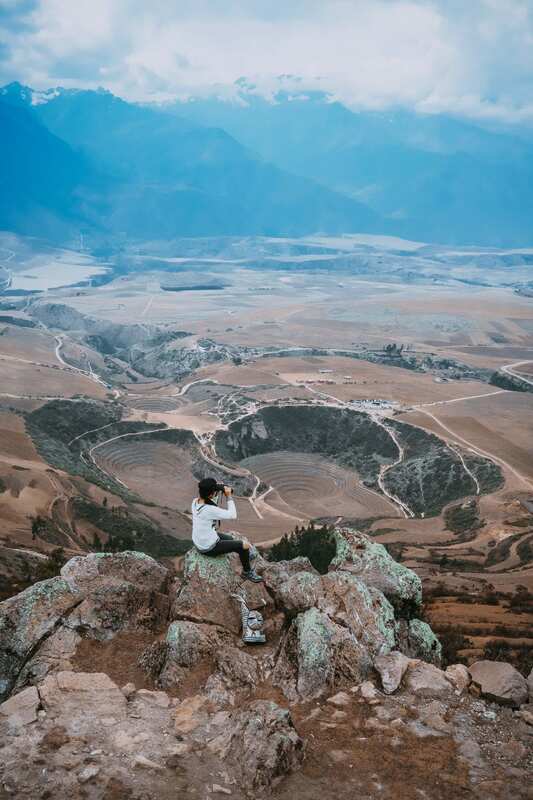 On our adventures in Peru, we decided to go a little off the beaten path and experience some of the true beauty Peru has to offer. We came across the opportunity to stay at Qhispikay Glamping and absolutely fell in love with this once in a lifetime journey. 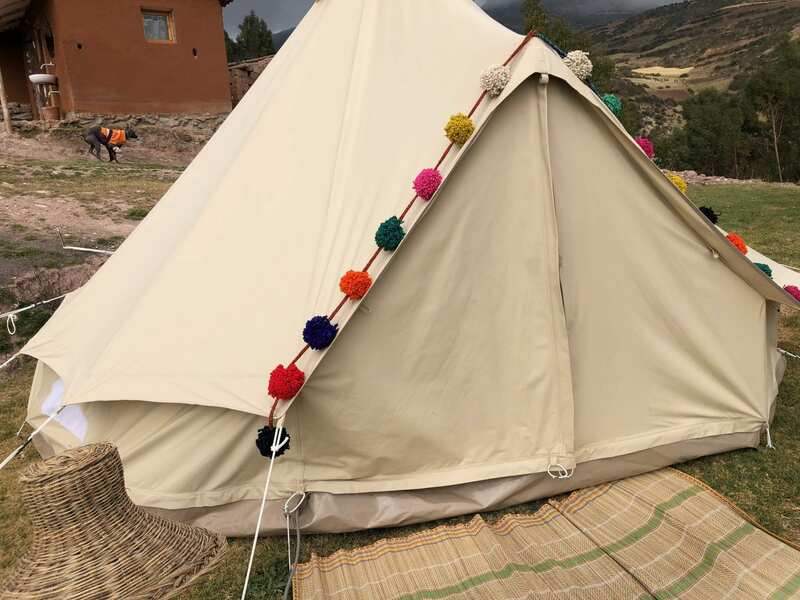 Located in the Sacred Valley just 90 minutes outside of Cusco, Peru, this gorgeous remote location is truly an eye-opening adventure. 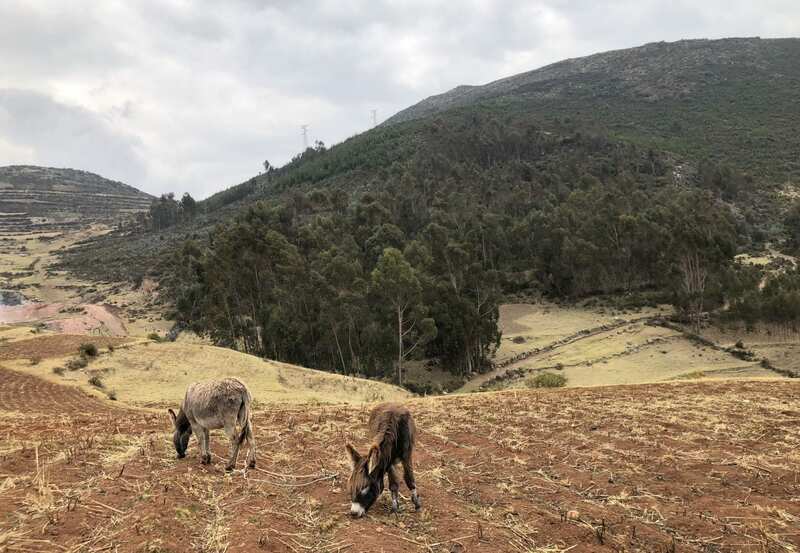 At an elevation of 3700 m, the property is surrounded by stunning views and crips clean air. This remote location (one of three of their glamping sites) is home to the Misminay Andean community, where 150-300 Misminay live. The Misminay people have preserved their historical culture for centuries giving you the opportunity to experience their lifestyle authentically. 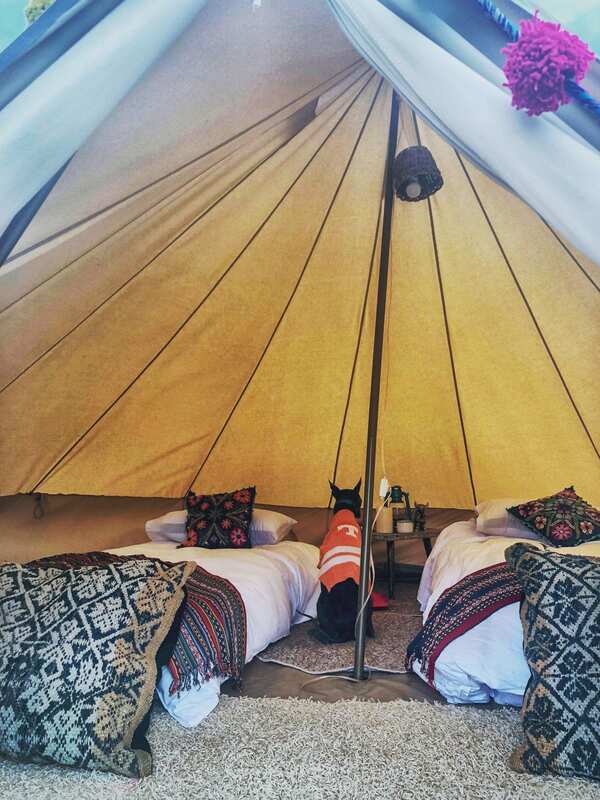 One of the best ways to truly embrace the Misminay culture is to stay at one of Qhispikay's glamping tents. We had the privelage of being accommodated by one of their immaculate glamping adventure for an evening. Each spacious tent comes with two large twin-sized beds with super cozy sheets and decorative hand-crafted Misminay textiles. The tent is adorned with rugs, nightstand, power outlets, and a heater for the chillier nights. I highly recommend bringing some extra warm clothes to sleep at night. 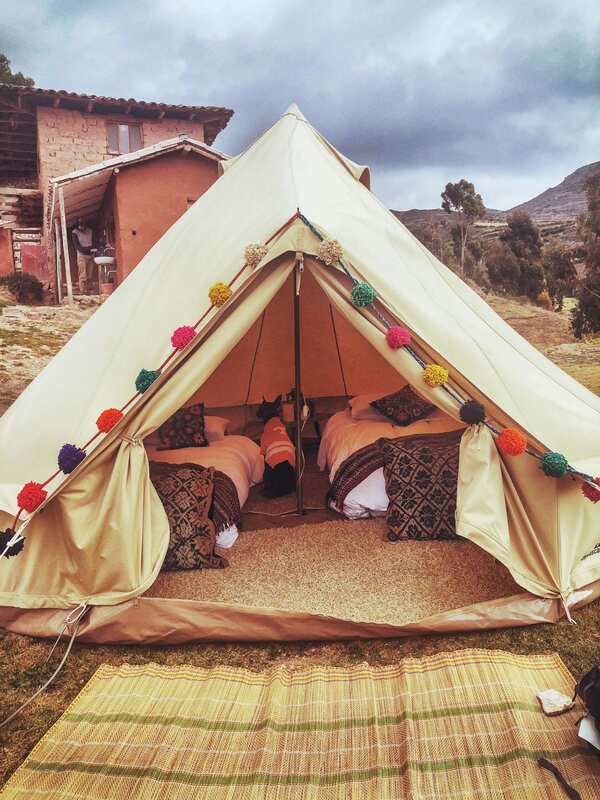 Keep in mind, you're glamping in 11,300 ft elevation in the Andean mountains. It will be cold! The glamping experience is hosted by an incredible duo, Maria and Mario, who have extensive experiencing working in toursim for the past 16 years. Before working with Qhispikay, Mario was a professional chef on the Inca Trail, a four-day trek from the Sacred Valley to Machu Picchu. There, he perfected his culinary techniques, which he showcases on your visit. 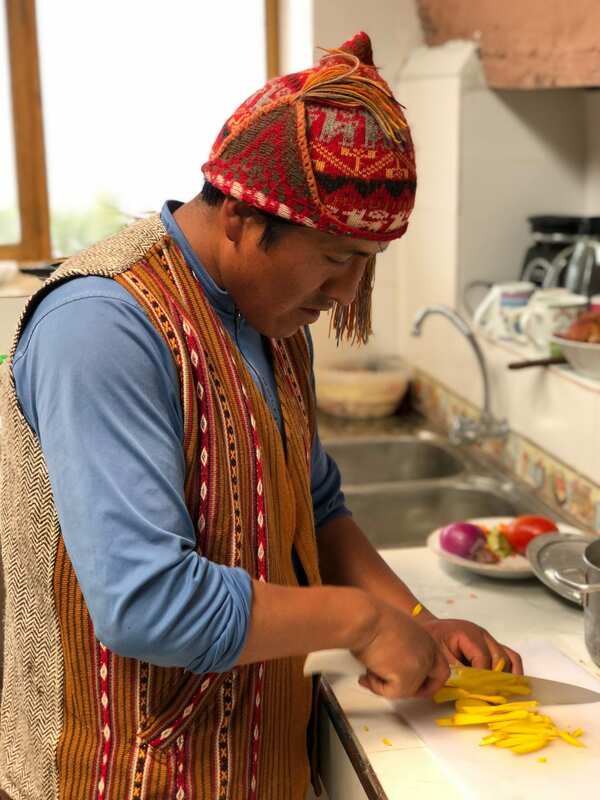 We even had the opportunity to take a private cooking class from Chef Mario himself to taste the flavors of traditional Andean cuisine. 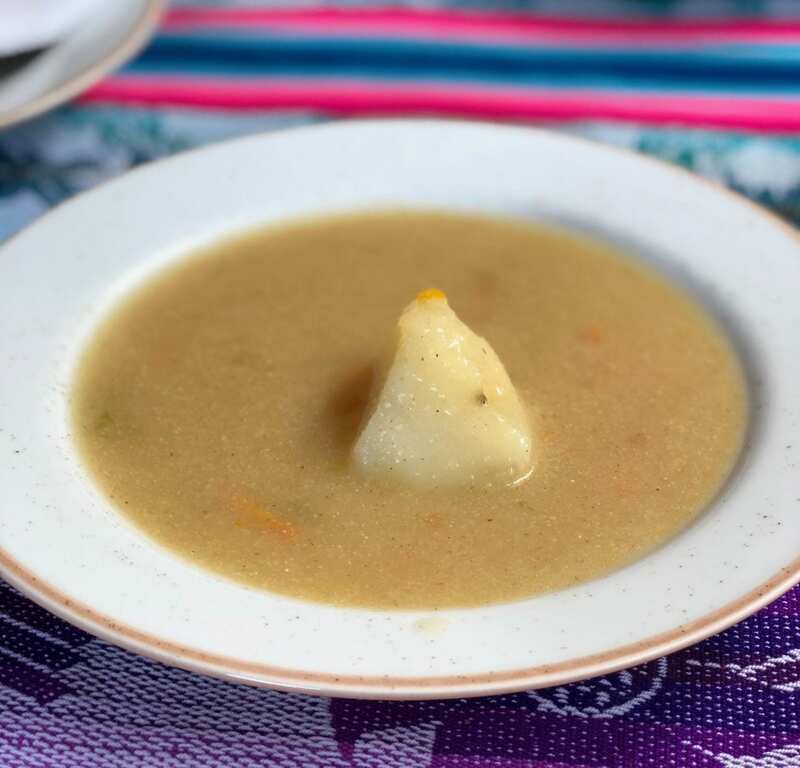 First, he prepared Locro de Papas, a delicious and comforting warm potato stew commonly served at home and other Peruvian restaurants. One of the best parts about the food they prepare is all of the ingredients are locally harvested. Because their establishment is self-sustainable, they get their ingredients by either trading with other tribes or harvesting their own crops. All of the potatoes in the soup were harvested from Mario and Maria's own crop of the year. Also, Mario prepared a traditional Peruvian dish called Arroz Chaufa. Because of a large population of Chinese immigrants in Peru, many of the Peruvian dishes are inspired by Chinese flavors. 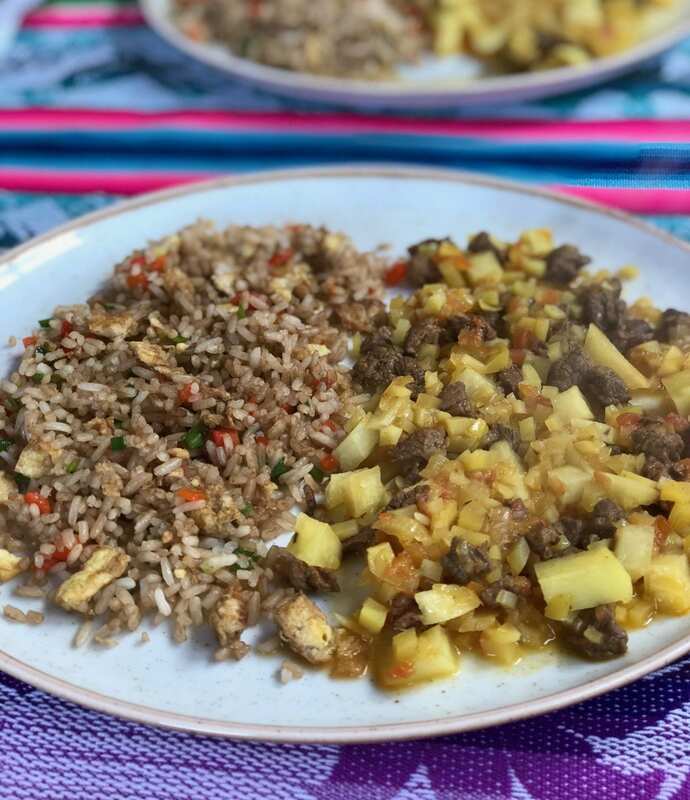 This Peruvian fried rice dish is very similar to a Chinese fried rice with a Peruvian spice flair. It's definitely a must-try when traveling to Peru. 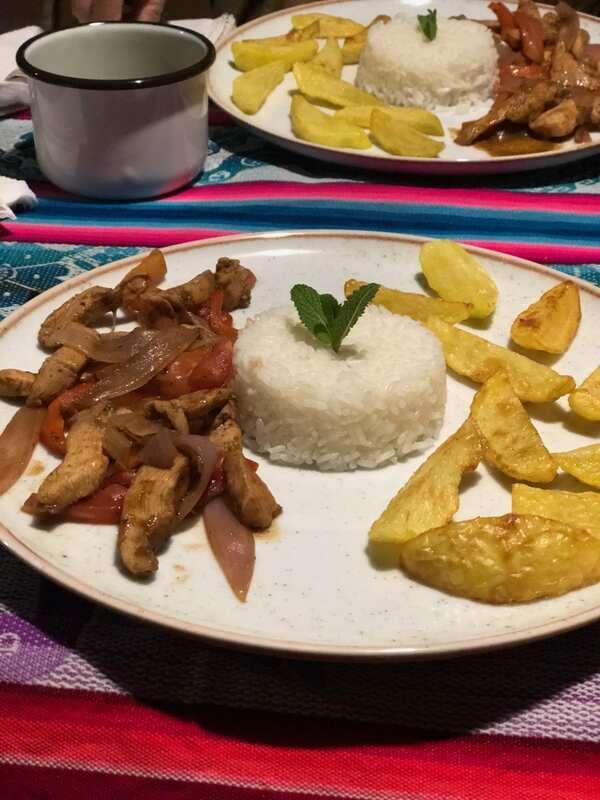 We also tasted one of Peru's most popular dish worldwide, Lomo Saltado, Mario style! This delicious recipe is made with a soy sauce based gravy, meat (chicken, beef, or pork), and fried potatoes served with a side of rice. Not only did we eat well, we also got to explore the area in which the Misminay have reigned for centuries. Isaias, the co-host and founder of Qhispikay, took us on a guided hike to an epic of Moray. This legendary Incan ruin consists of several circular depressions where the Incans tested various forms of irrigation. The view from the lookout point is like no other! NOTE: Please be wary if you are easily affected by altitude change or if you have any health conditions that may be affected by exercise. The altitude does make it a little more difficult to do anything physically exerting, so be prepared. On the way, we were greeted by many of the farm animals that the Misminay own. The symbiotic relationship between farm animal and family is so essential in their lifestyle. Animals roam relatively free and we met many nomads and shepherds along the way. Shepherding is essential for the animals to grow healthy and produce the commodities needed for the tribes survival. When the animals travel across the lands, they are able to eat better grass than if they are grazing in one area alone. Also, they provide essential fertilizer, creating a more verdant place for plants to grow in such high altitude conditions. After the hike, Maria showed us her hand-crafted textiles. The Misminay rely heavily on trade in order to get the resources they need. They are known for their brightly colored fabrics and their intricate weaving techniques. Qhispikay also offers an excursion where you can learn to dye and weave the traditional Incan way. Overall, glamping at Qhispikay was one of the best memories I'll never forget while traveling. 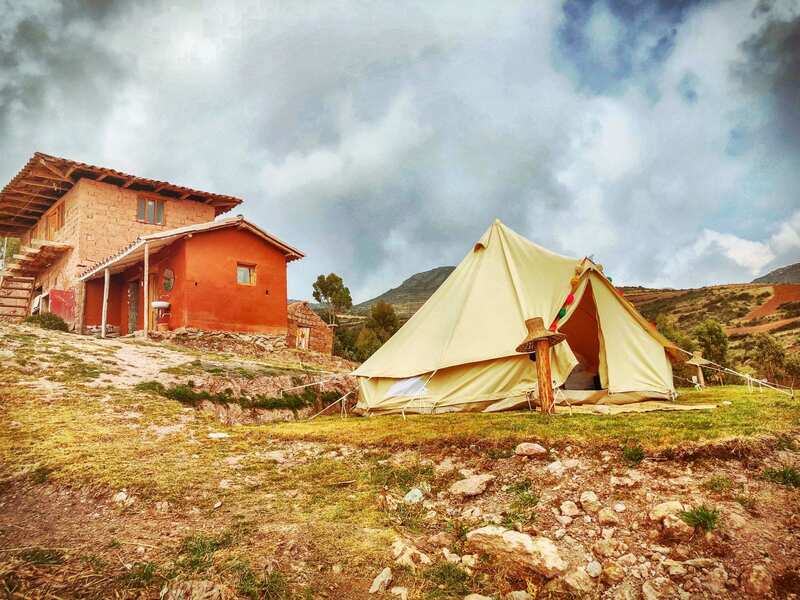 If you're planning on visiting Machu Picchu or traveling through Cusco, Peru, you absolutely MUST book a stay here. 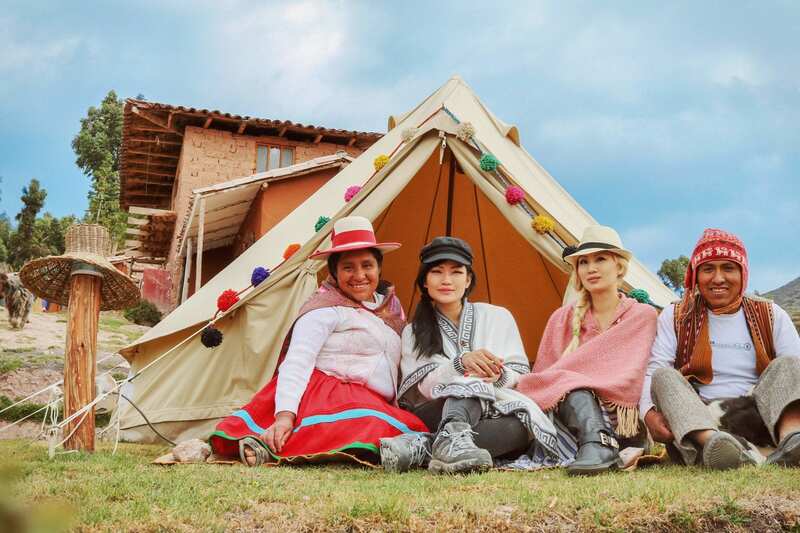 To learn more about Qhispikay, visit their site here: https://www.glamping.pe/qhispikay-peru.